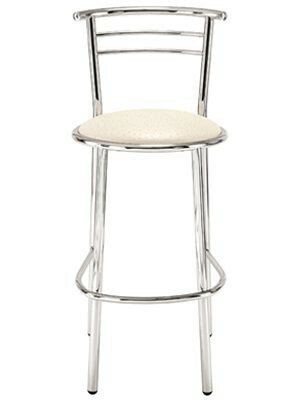 Metal stool with upholstered stool. Frame available in Chrome or Satinized. 2 seat heights available 800mm and 650mm.